Global review centers and a review pool of 50+ US based and licensed attorneys with experience in Hatch-Waxman litigation allow BlackStone’s Hatch-Waxman division to tackle complex matters with agility. BlackStone Discovery, the premier legal technology and consulting provider, is taking its Hatch-Waxman expertise to a new level with the expansion of a team focused solely on providing superior value to brand and generic pharmaceutical clients around the world. The move is part of BlackStone’s continued growth and expanding global presence. 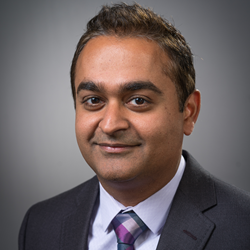 Director of Global Discovery Services, Parkash Khatri, leads the division comprised of attorney reviewers and project managers with deep experience in the Hatch-Waxman field.